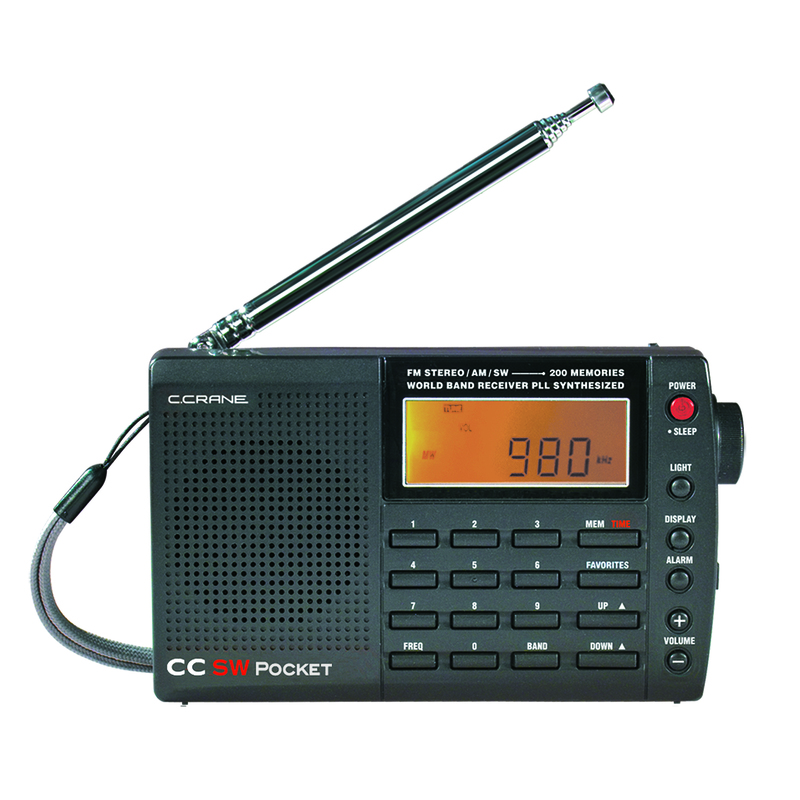 Congratulations to Matt, winner of the CC Witness Plus Digital MP3 Recorder/Player, William, winner of the CC WiFi 2 Internet Radio and Jan, winner of the CC Radio-SW.
Today’s giveaway is the CC SW Pocket Radio. For a chance to win, all you have to do is comment on today’s blog. Today’s blog question: What is your best holiday memory, ever? The winners will be selected in a random drawing and will be announced tomorrow morning. Good Luck! No doubt, holidays spent with my mom. All of them. My last Christmas with my dad before he died in 1964. It was our last Christmas as a family. Getting together with my cousins. The year I got my first rifle..a stevens 22 pump. I was 12. How our street coordinated candles lining up and down the curb with candles on Christmas Eve back in the 1980s, and how all the neighbors came out of their houses and got together to take pride in it. Being old enough to go to midnight Mass! Still a beautiful service. In 2005 when we couldn’t travel my wife and I spent Christmas snug in a blanket in our living room watching holiday classics all day. Such fun! When my daughter was blessed with sweet baby daughter last year. My first Christmas with my Wife. When my parents gave me a very good quality ham radio setup in 1967. It was used, but I didn’t care, because it was in excellent condition. I figured out later that they went into debt to do it, but I used it a LOT in the 6 years I had it. When I was a little boy; lying in bed one Christmas eve, nervously listening to the sound of sleigh bells and the patter of prancing hoofs on the roof of our house. It was magical. Definitely waking up early Christmas morning and waking my sister at 3:30 in the morning. She wasn’t too happy with me, but it’s still a memory that will stick with me for awhile. The Christmas my wife and I were snowed in by the fireplace and had the quietest, most peaceful Christmas ever. One of my happiest holiday memories is gathering with family to work on puzzles. My happiest holiday memory was when every kid got a razor scooter. I love the changes in people, every year at Christmas time, of how much more loving and caring and giving they’ll be, and having my grandparents was always the best for me! Happy Holidays to everyone! My favorite Christmas memory was visiting my Grandmother in the Hospital Christmas Day 1998. I brought my harmonica and played Silent Night for her in her room. It was mid afternoon, and she told me it was the only Christmas music she had heard all day. Driving to the beach with Dad! Having grown up in a family with 11 people (never slept alone till i was married!) – suddenly every Christmas is the best!